It is not like I actually planned it this way, but it came about that I watched the Terra Masonica documentary last Saturday, thus, on this years Summer Saint John, thus, on the day that 300 years ago the Grand Lodge of London (later to become the United Grand Lodge of England) was founded. That latter event was the reason for a small group of people to travel around the world and visit and film the most remarkable lodges and their members. Hence the subtitle: “around the world in 80 lodges”. It is a two hour documentary in two parts. By the lodges that are visited a bit of a history of Freemasonry emerges. The first lodge to visit is “the lodge without a number” or “the mother lodge” of Killwinning. This lodge has the oldest proven existence, way before 1717, and the even older records have been destroyed by a fire. Then we cross the pond to the first lodge in the USA. Then South to Brazil and to the Southernmost lodge on Tierra del Fuego. Next stop is the most northern lodge in the snow of Norway. Then France, the near East and the East. The makers of the documentary interview members ranging from Worshipful Masters to newly initiated members. Here and there they investigate history and of course show lodge buildings, large and small, making some stunning images. A goal seems to be to show the variety of Freemasonry today, but in my opinion some more emphasis could have been laid on that. A few times “atheistic” lodges are mentioned and women Freemasons also only in passing. It would have nice had the makers visited the headquarters of Le Droit Humain in Paris, or the headquarters of The Honorable Order of Universal Co-Masonry in Larkspur. Perhaps visited a women’s Grand Lodge. That could have been a way to say something about this form of Freemasonry. That said, it is nice to see how things go in a country such as Israel or India and the makers located some remarkable buildings such as an open air temple in Brazil. The DVD can be bought on several places and the film can be streamed as well. More information at the website. If you want a film about the “Le Droit Humain” in Paris, you can watch the film “Look at another Freemasonry” Humanist, Laïque and Mixte by Sylvie Arnaud, and criticize it. 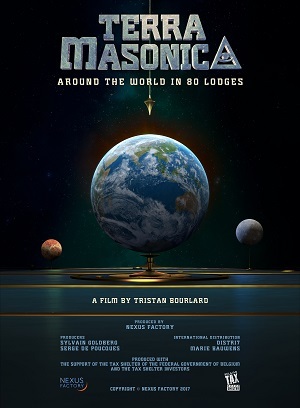 This film claims to be the only universal freemasonry in the world ! It would be interesting to have your review 🙂 I have not seen it, but I am sure that your opinion will be very interesting. Regarding the female co-masonry or Estern Star (USA), I met the representative in New York and filmed some temples. The problem is that the sisters of estern Star did not wish to express more deeply the DNA of their masonry because I am a man. Tristan, thank you for your comments. I wasn’t looking for a documentary about mixed gender Freemasonry (but thanks for the suggestion, I never heard of it! 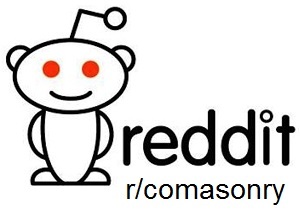 ), but for a documentary that claims to show the variety of the world of Freemasonry, Terra Masonica is mostly a (regular or not-stated) male thing. A small part about Paris or Larkspur would have allowed you to say a few things about mixed gender Freemasonry. The Grand Orient de France could have formed a bridge to say something about “secular” Freemasonry. That would have made the documentary an excellent overview of Freemasonry worldwide. It’s still a great documentary though. I especially like the more exotic parts of the world.